World Heritage GRIMETON RADIO/SAQ will, hopefully, have a transmission with the Alexanderson alternator on VLF 17.2 kHz on international UNESCO ”WORLD RADIO DAY” (WRD) on Friday February 13th 2015. Tuning up from 14:30 UTC and a message will be sent at 15:00 UTC. The message concerning PEACE have been put together by over 200 citizens of Varberg via the “Varberg Calling for Peace” project, in Varberg, Sweden. Our amateur radio station (SK6SAQ) will be active with a special call sign for the day, “7S6WRD” where “WRD” stands for “World Radio Day”. QSL to 7S6WRD via SM bureau. The station will be open to visitors 14:00 to 16:00 UTC (15:00-17:00 SVT). No entrance fee. We will remind you of the Grimeton Radio/SAQ transmission on VLF frequency 17.2 kHz, CW, with the Alexanderson 200 kW alternator on “ALEXANDERSON DAY”, Sunday, June 28th, at 09:00 UTC and 12:00 UTC (11:00 and 14:00 SVT). We will start tuning up some 30 minutes before the message. There will be activity on amateur radio frequencies during the day with the call SK6SAQ. QSL to SK6SAQ via SM bureau. The radio station will be open to visitors from 08:00 to 14:00 UTC (10:00 to 16:00 SVT). Avec un peu de retard, voici ma réception de la transmission de SAQ du 28/06/2015 sur 17.20 Khz. Reçu avec un NRD535, miniwhip et filtre 300 Hz. There will be a transmission with the Alexanderson VLF alternator on 17.2 kHz on “United Nations Day” October 24th, 2015 at 10:00 UTC (12:00 local time). Start up and tuning from about 09:30 UTC. There will be activity on amateur radio frequencies with the call "SK6SAQ". QSL for SK6SAQ via SK6DK or SM-bureau. The radiostation is open to vistors 10:00-15:00 local time. No entrance fee. It is now 10 years since our first Christmas Eve transmissions started. There will be, as earlier, a transmission with the Alexanderson alternator on VLF 17.2 kHz CW from Grimeton Radio/SAQ in the very early morning on Christmas Eve, Thursday, December 24th 2015. A message will be transmitted at 08:00 UTC. The transmitter will be tuned up from around 07:30 UTC. There will be no activity on amateur radio frequencies with the call SK6SAQ this time because the radio room is redecorated and cannot be used. The radiostation will be open to visitors. The 2015 Christmas Eve transmission from SAQ, the Alexanderson alternator station at the World Heritage Grimeton site in Sweden, elicited more than 350 reports, according to a preliminary accounting, many of them from hams. 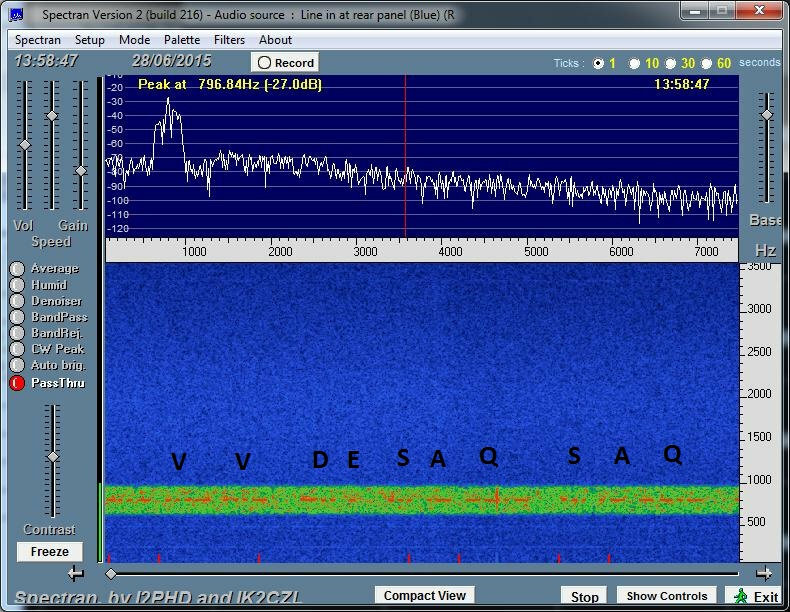 SAQ transmits on 17.2 kHz. The lion’s share of reports — nearly 160 — came from Germany. Listeners in the US filed eight reports, with just five indicating they actually heard SAQ. “The transmission appears to be our best so far,” said Lars Kalland, SM6NM, who distributed the report. Kjell Dahl, OH0KXJ, reported hearing SAQ for the first time. “It is always a pleasure to listen this CW melody on 17.2 kHz,” commented Manu Aft, F5ROL. The vintage station began its holiday transmissions in 2006. Dating from the 1920s, the Alexanderson alternator — essentially an ac alternator run at extremely high speed — can put out 200 kW but typically is operated at less than one-half that power level. Once providing reliable transatlantic communication, it is now a museum piece and only put on the air on special occasions.